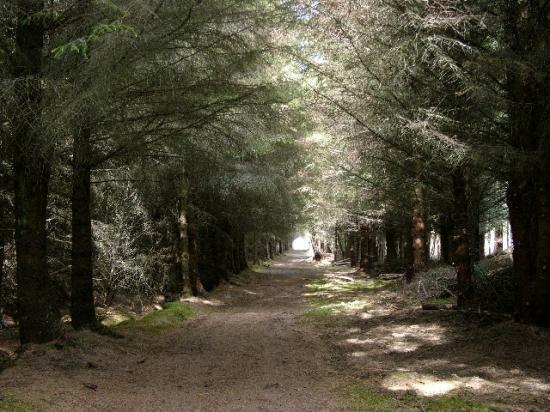 Dunnet Forestry Trust has launched a proposal to take ownership of Dunnet Forest on behalf of the community. Currently the forest is owned by Scottish Natural Heritage and leased to the Trust. As a Scottish Charity and a Company Limited by Guarantee the Trust is eligible to apply to the Scottish Land Fund for financial assistance towards purchase the of the forest. The Trustees believe that there will never be a better opportunity for transfer to community ownership. Discussions with Scottish Natural Heritage and the Scottish Land Fund have been positive but there is a lengthy process to be followed and much work to be done. This month we have begun the process by inviting tenders for experienced consultants to assist with the production of a feasibility study and business plan. A valuation of all forest assets also has to be undertaken. The cost of these will be paid for by the Scottish Land Fund if our stage 1 application to them is successful. We expect to submit the stage 2 application in December 2019 and complete the transfer of ownership in 2020. This initiative will require the support of members of the Trust. Some changes to the Trust's constitution will be necessary and must be approved by a General Meeting of members . This will take place at an EGM held prior to the AGM on Tuesday 7th May at 7.30 p.m. at Castlehill Heritage Centre. Details of these meetings will be sent out shortly. At that meeting the Trustees will also seek a mandate to proceed with the transfer providing suitable financial terms can be agreed. Our aim is to secure the bulk of the purchase cost from the Scottish Land Fund but a contribution from the Trust will also be necessary. Once the financial terms are known there will be an opportunity for members to support the purchase through voluntary donations. We are at an early stage but we are confident that the outcome will be the creation of ‘Dunnet Community Forest'. On another matter; Dunnet Forestry Trust is currently one of the good causes being sponsored by Tesco - Thurso branch, so any blue or red counters in the appropriate box would be much appreciated as we stand to received up to £4000 if we are successful; somewhat less if we come second or third.